Each person must be familiar with Facebook. Facebook is the number one social networking site in the world and the second largest website in the world after Google. What happens if the passwords stored in Facebook can be stolen? 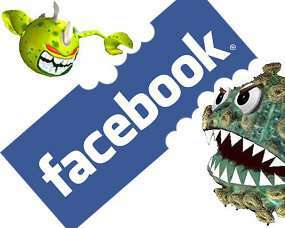 A malicious program or a malware named Ramnit re-launched its action, this time targeting the users of Facebook. This malware was reported to steal passwords and usernames belong to 45 thousand more users. Most users who are victims are Facebook users in France and England. Not only steal Facebook usernames and passwords, can also infect computers Ramnit Windows and Microsoft Office files and HTML. "We suspect that these hackers had stolen confidential data to log-in to the victim's Facebook account. They spread malicious links to the Facebook friends of victims," the report quoted by Cnet. In addition, they like get 'bonus' when the victim was using the same username and password for the account of other services such as Gmail, Twitter and others. Internet and computer security expert who knows the password and username theft has been informed and will submit the stolen data found on the server Ramnit.